Pilgrim Scribblings: Unfailing Love...Can We Even Imagine That? God's unfailing love is something I can't understand. It's beyond me! Just like His mercy and His grace, the fact that Abba loves me passionately in spite of my sin is one of those things that will take me all of eternity to understand, to grasp. Paul, writing to the Ephesians, told them that "it would take the ages to come" to show us the exceeding riches of His grace. This isn't something we understand overnight. I takes a lifetime plus eternity to fully understand His lovingkindness. 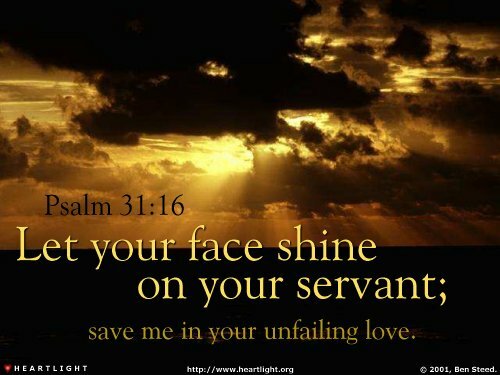 Thank you Father for Your unfailing love. May my love for others be patterned after Your unconditional and unfailing love for me. Grant this O God, through Your Son, Jesus Christ. AMEN! Dear David... I will never understand that of all the people in Ottawa in 1967, that the Lord looked for me until He found me and saved me. This was such a blessed posting David..It really caused me to think! !